Thanks for being patient during the short spell while I caught up. I’m sure you’re all waiting to find out what exciting events happen next! And thank you for the letters of support. Onward…! Jenner was at ConFurgence 2017, Melbourne Australia, January 6th – 8th. 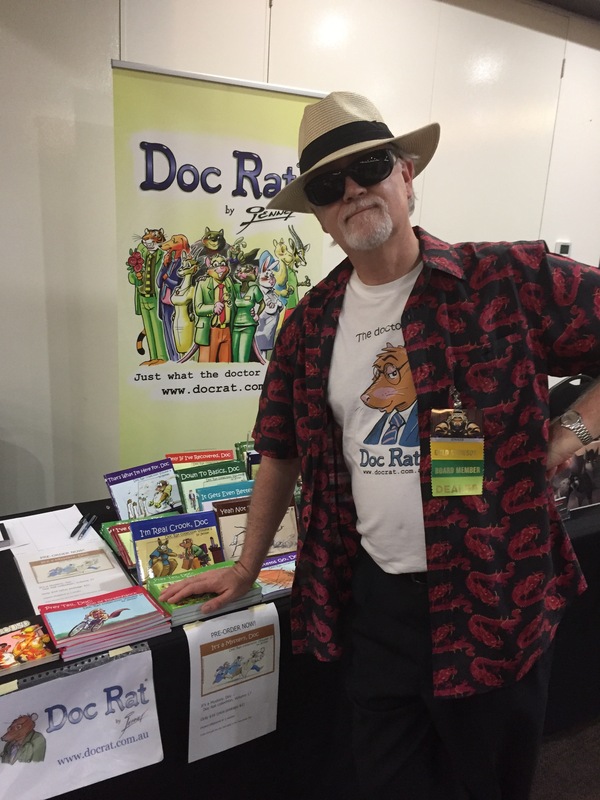 Jenner selling Doc Rat merchandise at ConFurgence 2017, Melbourne, Australia.